That company was Bodum, a table and kitchenware company founded by Jørgen’s father Peter Bodum in 1944. Thankfully, the decision was a simple one as Jørgen had always wanted to follow in his father’s footsteps. While other children were busy playing outdoors and skiing on their holidays, from a young age Jørgen would work in the family warehouse and production centre. Sadly, Jorgen’s father died when he was only 17. His mother, who he describes as “tiny but strong”, took over the running of the business after Peter’s passing. “Despite everyone telling her she could not run a company, she did very well. She is, as well as my father, the reason [Bodum still exists today],” Jørgen says. In the early years, Bodum imported glassware to Denmark before discovering vacuum coffee makers. Peter set out to improve the design of the device and make a product that was affordable for everybody. In the 1950s he released Mocca, Bodum’s first vacuum coffee maker, followed by the Santos vacuum brewer in 1958, said to be the product to put Bodum on the international map. It wouldn’t take long before Jørgen made his own mark too. He studied in Germany and France and completed training at a large warehouse company in Copenhagen. However, no amount of study or work experience could prepare Jørgen for the demands of running the family business. Jørgen made an immediate impact, helping launch Bistro, Bodums’ first French coffee press. A few years later in 1978 Jørgen moved the company to Switzerland to strategically place the company in central Europe. 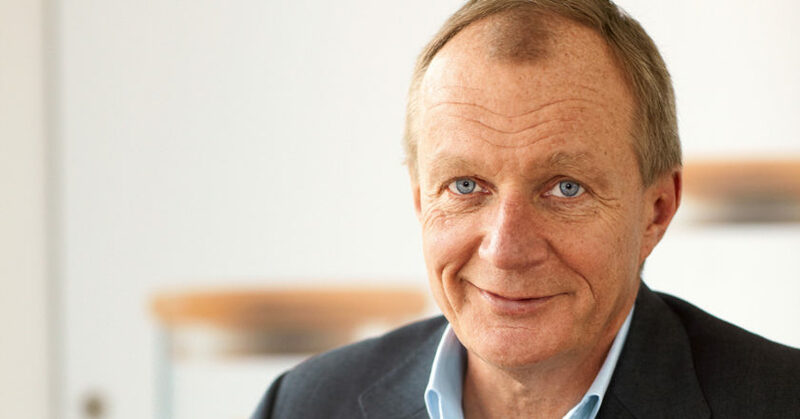 But it wasn’t until the mid-80s that he was faced with his first big hurdle as a company director, when a German manager at the time made “a lot of wrong decisions” and lost the company’s savings Jørgen had set aside for Bodum’s US launch. It was also around this time Jørgen met Starbucks Founder Howard Schultz. Bodum started working with Starbucks when it only had 40 stores, and the chain has been a great customer of Bodum’s ever since. Bodum went on to open 15 offices around the world, including New York, and distributes its products to 55 countries. The Bodum range has expanded to include kitchen, tea, electrical, and travel accessories, but coffee has always taken centre stage. Jørgen says the French Press remains Bodum’s biggest star: a simple and fuss-free method of producing a quality cup of coffee without waste – it’s just glass, water, and coffee. Bodum is committed to craftsmanship and following German architect Bauhaus’ famous ideology of “form followed by function”. Peter had a vision that “good design doesn’t have to be expensive”. Jørgen says he has strived to maintain this same philosophy by utilising the company’s in-house design unit, PI-Design, in Switzerland, producing a greater portion of Bodum products at its Portuguese factory, and staying committed to inventive designs with Danish and Japanese influence, which embody his liking for simplicity. Jørgen says the siphon his father created has seen the greatest evolution in terms of product development. He predicts it will have the biggest growth margin on the market of any brewing device in 2018, especially when Bodum introduces a revised siphon brewer like the one his father first created in the 50s. Competition on the market continues to rise. While Jørgen says it’s healthy for the business, he is aware that after every new Bodum release, product designs are “stolen”. Jørgen likes to put up a good fight and sues companies accordingly for copied designs. “We go after every one,” he says. Bodum launched its Bistro coffee maker in Australia in 1975, an instant hit with the café market. 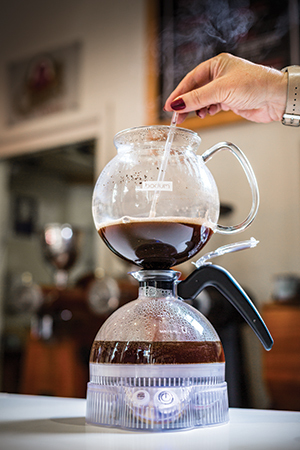 Just a few years later the Bistro cups were introduced to the Aussie market, followed by its double wall glasses and e-Pebo electric vacuum brew method, released in 2017 and featured on this month’s cover of BeanScene. Jørgen says the theatrical form of brewing via vacuum and siphon has fascinated generations, and in many blind tests has been found to produce “the best coffee”. Jørgen says Bodum has never been “blind-sided” to focus on only one market. However, its product colour range and the introduction of its outdoor BBQ and double-wall Bisphenol A-free plastic tumblers were heavily influenced by Australia’s summer. Jørgen has travelled to Australia regularly since 1978 and made his most recent appearance in January. “The Australian coffee market today, like in most markets, is embracing slow brewing coffee methods very fast. [Those retailers and manufacturers who don’t embrace it] will wake up one day and realise what they’ve missed,” he says. Jørgen says his biggest hurdle today, or perhaps the biggest opportunity, is the speed of the changing industry landscape. “The coffee industry in my time has had more than ‘three waves’, with slow coffee returning in the form of siphon, French press, and pour over. This was the strongest wave I can remember. It makes push button [super automatic devices] with absolutely no ceremony look like a practical joke,” Jørgen says. Bodum has always created designs for the commercial and home markets. Jørgen says that while specialty shops continue to drive innovation, coffee chains such as Starbucks should not be forgotten for the contribution they’ve made. “From one small shop at Pike Place in Seattle, the company has now become more than 25,000 locations with its largest store opening so far in Shanghai, China [in December 2017]: a 30,000 square-metre venue showcasing the whole coffee experience,” Jørgen says. Bodum has its own large production factory in Tondela, Portugal, where the majority of its high-volume products are manufactured. In October 2017, a wildfire tore through the area where the factory is located, affecting the neighbouring buildings and factories but somehow sparing the Bodum factory. To reduce any future risk of fire damage, Jørgen has decided to separate Bodum’s manufacturing factory from its head office. Its new plastic factory will be located at another suburb north of Portugal, and its digital operations office will be located in Porto. Despite the disruption, from the end of December 2017 Bodum started to produce its double-wall glasses in Tritan, a food neutral material made with a new technique. Bodum’s design and development team has also launched a double-wall Tumbler that comes out of the injection mould in one piece without welding, thought to be the first of its kind on the market.